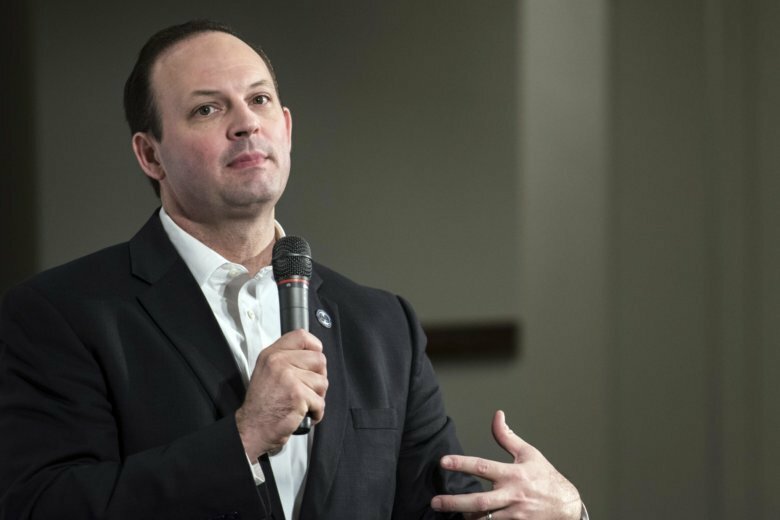 COLUMBIA, S.C. (AP) — State Attorney General Alan Wilson’s inaction impeded an investigation into corruption at the South Carolina Statehouse, whether he intended it to or not, according to a State Grand Jury report released Tuesday after a two-year investigation. In response, Wilson told The Associated Press the report is “repackaged and recycled garbage” and a political attack weeks before the Nov. 6 election. Wilson’s inaction after former House Speaker Bobby Harrell pleaded guilty in 2014 and named two other high profile lawmakers cost investigators 13 months and meant the statute of limitations on potential federal crimes like money laundering ran out, the grand jurors said in the report drafted by Solicitor David Pascoe. The report notes Wilson’s close relationship with political consultant Richard Quinn, whom he once likened to a father. Pascoe’s investigation focused mainly on Quinn’s consulting business, his clients and whether he acted like a lobbyist without registering. The report also notes that Wilson testified voluntarily before the grand jury, saying the delays happened as he tried to make sure the investigation proceeded legally. The grand jury and investigators had a duty to bring charges against him if they thought he did anything wrong and it is significant they didn’t, Wilson said. “This is repackaged and recycled garbage, dropped four weeks before the election, to do a political hatchet job. They could not indict in a court of law, because nothing wrong occurred, so they’re trying to indict in a court of public opinion,” Wilson told the AP. Wilson is seeking a third term in the Nov. 6 election. His Democratic opponent is Charleston lawyer Constance Anastopoulo. He said the report includes “a series of innocent facts” and added that it reveals nothing that wasn’t already public two years ago. Pascoe was elected as a Democrat to prosecute cases in several counties south of Columbia. Wilson initially turned the investigation over to him because Harrell’s office accused one of Wilson’s staffers of improper communications. The probe ended with four Republican lawmakers pleading guilty, including Quinn’s son, state Rep. Rick Quinn. None served prison time. Two more former lawmakers await trial. Pascoe has adamantly denied any political motive in the probe, saying no one in Columbia was more corrupt than Richard Quinn. Prosecutors dropped charges against Richard Quinn in exchange for him cooperating with investigators and for his son agreeing to plead guilty. The report also suggested lawmakers pass stricter penalties for ethics violations, more stringent rules on lobbying and tougher accountability requirements when political groups spend money on third-party efforts to attack candidates in elections. The 270-page grand jury report gives a behind the curtain peek at the blurry line between political consultants, lobbyists and powerful businesses and state agencies in South Carolina. Major hospital company Palmetto Health, AT&T, the University of South Carolina, utility SCANA and a trial lawyers association called the South Carolina Association for Justice paid more than $350,000 in fines for using Richard Quinn’s firm to lobby on their behalf without disclosing it publicly. Officials who hired Quinn struggled to tell the grand jury about any tangible work he did to earn thousands of dollars a month, according to the report. But they did describe meetings in Quinn’s office where lawmakers, including Quinn’s son, would stop by unannounced. In South Carolina, lobbyists typically go to see lawmakers, not the other way around. Emails showed Quinn could put pressure on lawmakers who relied on him for political advice, getting one to back off after SCANA banned employees from displaying the Confederate flag on its equipment, or another to change his mind on a hospital issue and a third to “lose with dignity” over a telecommunications bill, the report said. “Mr. Quinn was retained so that he would be standing ready to assist with a legislative effort that could not be solved by a typical lobbyist,” the grand jurors wrote. Investigators brought 32 different witnesses before the grand jury over two years and reviewed nearly 1 million pages of documents, according to the report.